The Fast & Furious film franchise is filled with iconic automobiles. Still, none are quite as recognizable as Dominic Toretto’s 1970 Dodge Charger. 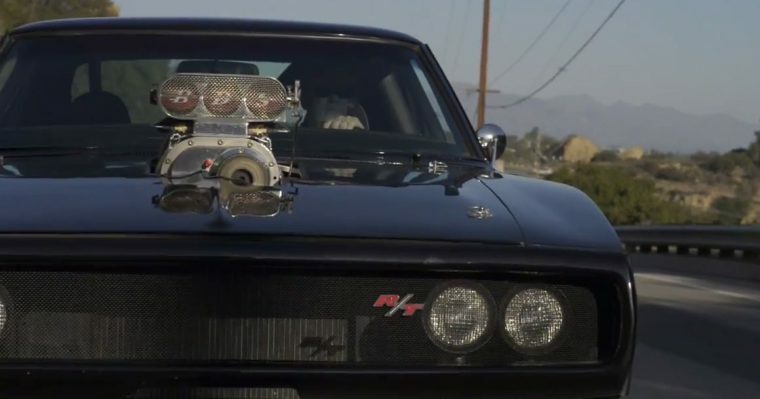 This weekend, Fast & Furious fanatics will finally have a chance to own Dom’s Charger, as one of the Chargers used for the films is set to be auctioned off by GWS Auctions in Agoura Hills, California. This particular version of Dom’s 1970 Dodge Charger actually started out as a 1969 iteration of the vehicle. However, it was modified to more closely resemble the more iconic 1970 Charger model. The blower poking out from under the hood of the Dodge Charger is unfortunately just a replica. Nevertheless, whoever wins the modified Dodge Charger can still tap into 430 horsepower, courtesy of the vehicle’s 440-cubic-inch V8 engine. Other standard features for the custom Fast & Furious Charger include Wilwood front discs, Baird racing seats, and a remote battery cutoff switch. For drag-racing purposes, the Dodge Charger includes a complete roll cage. The Charger won’t be the only vehicle from the Fast & Furious movies up for auction. A 1987 Buick GNX vehicle that appeared in the films will also be sold to the highest bidder. In fact, the auction is lined with automotive memorabilia from some of Hollywood’s biggest film franchises. Vehicles from Knight Rider and Herbie: Fully Loaded will be included during the auction event, as will vehicles from Elvis Presley’s personal collection of cars. The Agoura Hills auction will take place at 10:00 a.m. on Saturday, August 25. For a full list of the items up for sale, check out the official GWS auction page here.